USGBC Maryland and Garrett Heights Elementary / Middle created an outdoor space at the school. USGBC Maryland community members celebrated their first spring work day with Garrett Heights Elementary / Middle School this year. 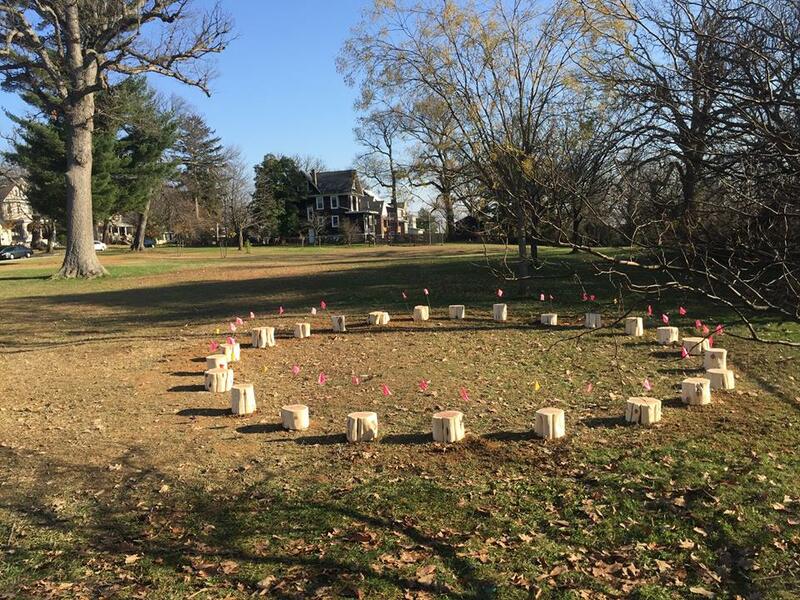 The partnership with this Baltimore school took several years to develop before the installation of stump stools was completed as part of their first Green Apple Day of Service project in 2015. Local USGBC members and partners have collaborated with school administrators, teachers, parents, community members and students to enhance the outdoor space at the school, creating a safe play space and a living classroom. The workday this spring brought together over 60 volunteers—the biggest number to date—for a day of weeding, planting, trash removal and painting to enhance the school grounds. The completed stump stools circle. “Participating in Green Apple Day of Service allows me to have direct involvement in helping to create enriching, enjoyable green spaces for the students of a school in my community. I am in my second year of involvement, and I love seeing the children learning about sustainability and environmental care because of our efforts,” commented Jean Farnsworth, a USGBC Maryland Market Leadership Advisory Board Member. USGBC Maryland plans to host an additional fall workday with the school. Event details will be hosted on the Green Apple website as well as the community calendar. Local volunteers are always welcome to join this movement of nearly a million volunteers throughout 70 countries to celebrate the central role that schools play in preparing the next generation of global leaders in sustainability.